Turn up the stereo loud and blast those shimmering electric pedal steel guitars, because we want to hear some country music. We’ve been aching for that classic twang, and the signature deep vocal flair that sounds like it’s coming from the core of the earth itself. In essence, isn’t that what country music is all about? It’s about those deep roots… It’s about the core of who we are as people, and an earnest reflection of the traditional places we came from. The beauty of this idea is that country music, like all music, is simply a reflection on real life. The natural honky tonk sounds that are so prominent on country records aren’t just done for fun – they have a real connection to the sensibilities of American southern roots. And for many of these star singers, these roots allow themselves to come out in different ways – such as their house choices. With the great amount of financial success that they’ve accumulated over the years, their real estate choices are interesting to say the least. From the early pioneers of country music such as Johnny Cash and Loretta Lynn, to the more modern reinventors of the genre such as Taylor Swift and Luke Bryan, the breadth of range that exists on the spectrum of the genre over the years has grown considerably large. The fact is, when you wade past the acoustic guitars and the thumping bass, we hear personal distinct traits that truly separate the vocalists’ innate personalities from each other – and these unique characteristics also come out when they make the decision to buy a house. 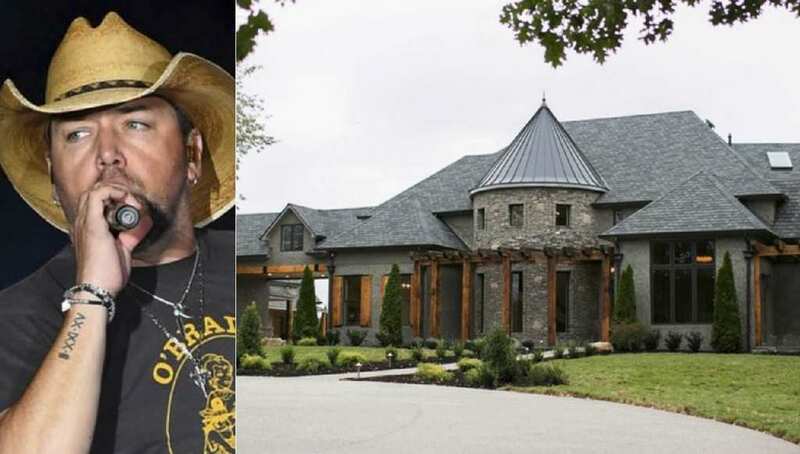 You see, while it is certainly impressive to see how the wealth of these country stars has allowed them to purchase homes that most people couldn’t buy in their wildest dreams, it’s just as interesting to note how different and quirky their tastes really are from each other. 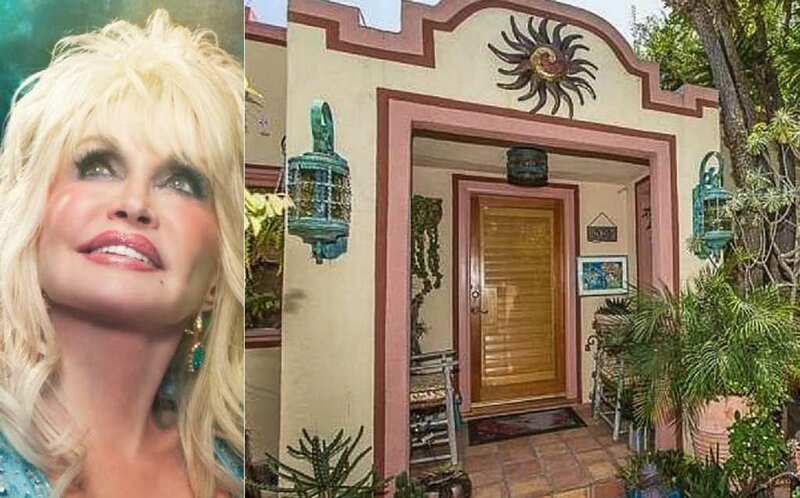 When you look at the flowery, cozy nest that Dolly Parton created for herself in the lavish layout of Hollywood, and compare it to the traditional, natural feel that Miranda Lambert went for in the middle of a forest, you can truly appreciate the contrast of who they are as people. 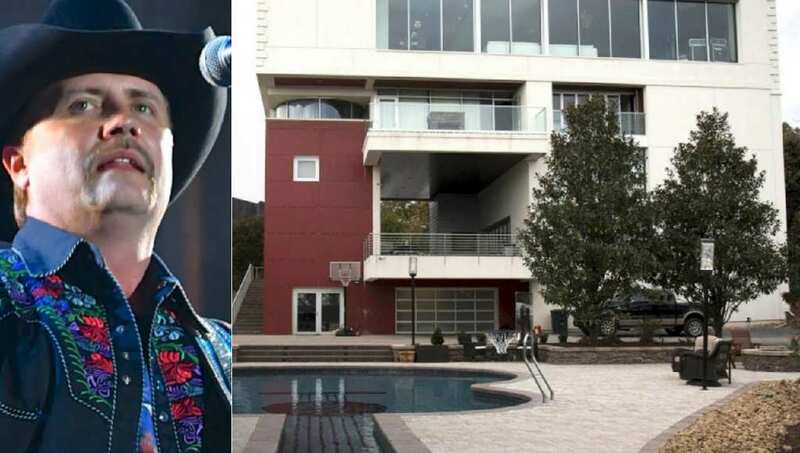 And then there are the houses that are all about having fun – such as the futuristic looking home of John Rich. 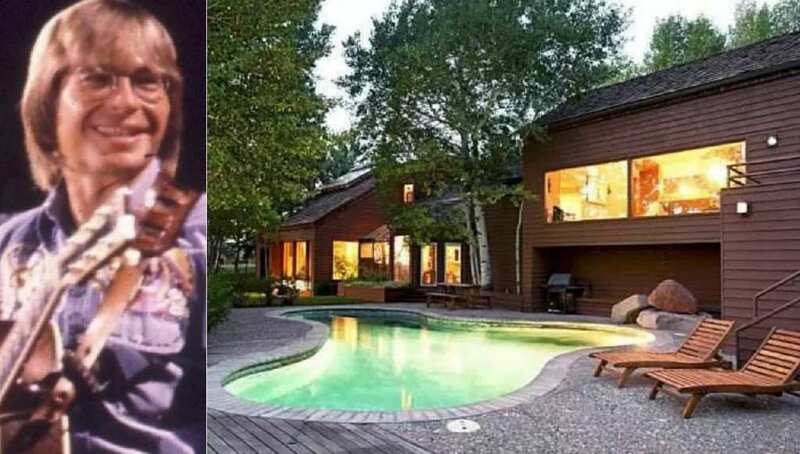 To be honest, if we had to choose to live in any of the homes on this list, we would seriously consider living in his – just so we could swim in the guitar-shaped pool. This New Zealand native country singer has been sharing his music with the world since 1991, with hit songs like “Somebody Like You” and the more recent “Blue Ain’t Your Color.” He ended up getting married to the iconic actress Nicole Kidman, and together they certainly make a cute couple. 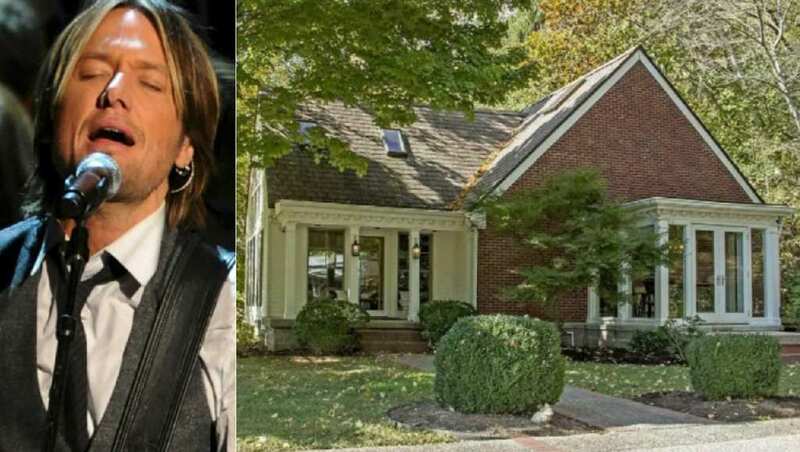 They’ve also been able to purchase multiple houses, such as the $3.4 million, 5,086 square foot property located smack dab in the middle of a forest in Franklin, Tennessee. Shania Twain is one of those singers whose appeal has a lot to do with her vivacious personality, as well as her technical talent as a vocalist. With songs like “That Don’t Impress Me Much” and “I’m Gonna Getcha Good,” what she gives to country is a certain vibe that exudes optimism mixed with a certain swagger that is absolutely contagious. Her taste in music extends into other parts of her life, such as her real estate choices – just check out her beautiful house in the Bahamas. 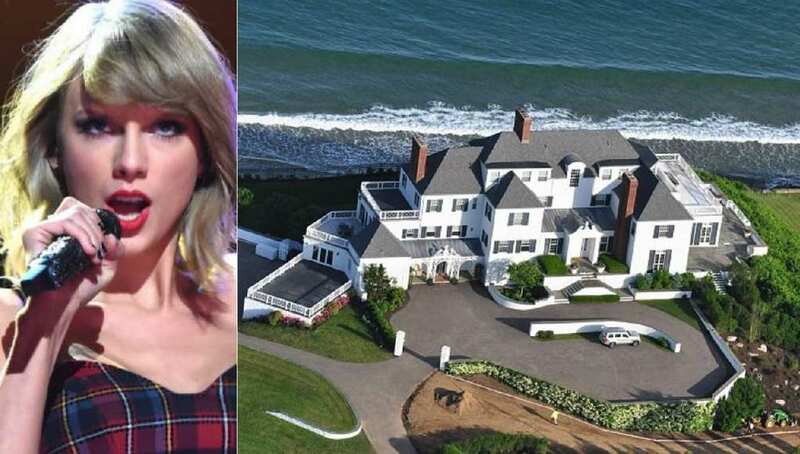 The beachfront house Taylor Swift bought for $17 million in Martha’s Vineyard has an upper class charm to it, and the fact that it’s right near the fames Kennedy compound makes even more appealing. Taylor actually bought the house while dating Robert Kennedy’s grandson, Conor Kennedy, in 2013, after first gaining fame in the early 2000s, with such early country rooted songs as the cute “Our Song” and the catchy “Love Story.” Her fame grew even larger as her style turned more commercial, releasing music with a more electronic sound. Jason got his professional start in the music industry in 2005 when he was signed to Broken Bow Records, and ever since then he has released a total of seven albums as well as 24 singles. 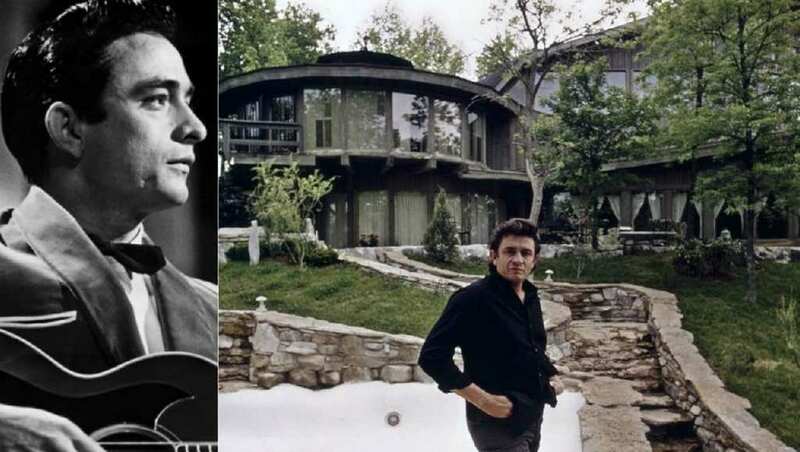 Some of his well-known songs are the endearing “You Make It Easy” and the inspiring “Dirt Road Anthem,” and this type of recognition allowed him to make the type of financial living where he could now buy a really nice house, like the one here. Sheryl Crow is known for many of her songs, but one of her more popular ones is the poignant “Strong Enough” and her moving cover of Cat Stevens’ “The First Cut Is the Deepest,” which appeared on the hit teen television drama One Tree Hill. Her style is undeniably modernized country-folk, and she has clearly influenced artists such as Taylor Swift. 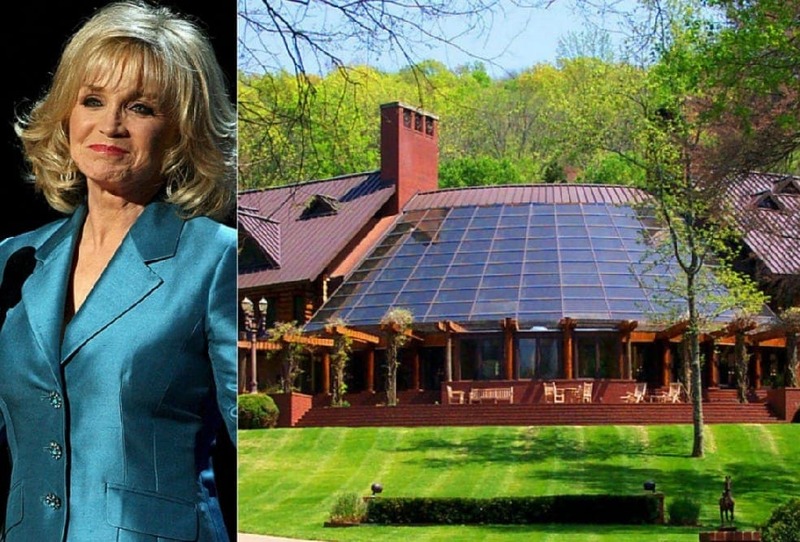 Her Tennessee ranch, seen here, had a listing price at around $3.8 million, and from the looks of it, we can see why. We’re not just discussing the newbies in the country music scene, but the older hats as well. Kenny Rogers wasn’t one of the earliest pioneers who started out in the genre, but the impact he had was astronomical, especially in the ’70s and ’80s, and it was enough to get him a ticket into the Country Music Hall of Fame. 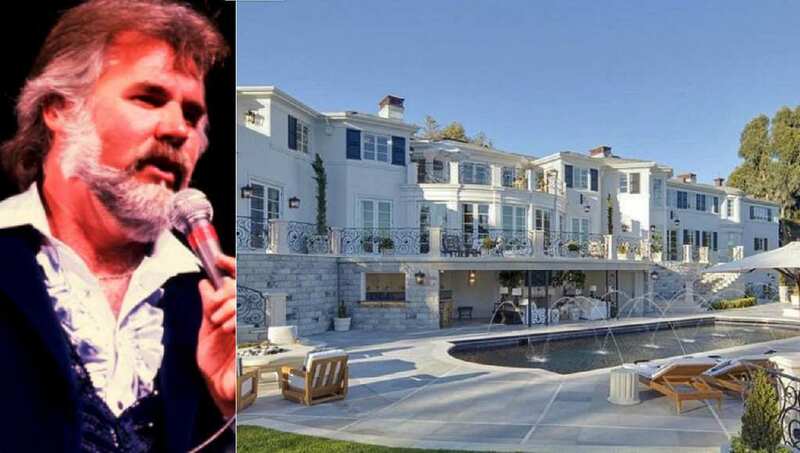 With deep, touching songs such as “Through The Years,” we’re not surprised that he was able to accumulate the amount of wealth that enabled him to buy the mansion you see here. The house you see here wasn’t just where Trisha Yearwood lived – it was also the place where she filmed her well known cooking show, “Trisha’s Southern Kitchen.” Yes, nowadays she is known as a high caliber chef, which makes it even more impressive when you consider the roots she came from as a talented country singer. Regarding that part of her life, she was well remembered for being “confident” and “strong,” stringing out ballads about vulnerable young women that were very influential to future artists. Kix Brooks is a good example of a musician who managed to have a lot of success not just as a solo artist, but for work that he did as part of a group. In fact, he is best known for the music he made when him and Ronnie Dunn formed the duo, Brooks and Dunn. 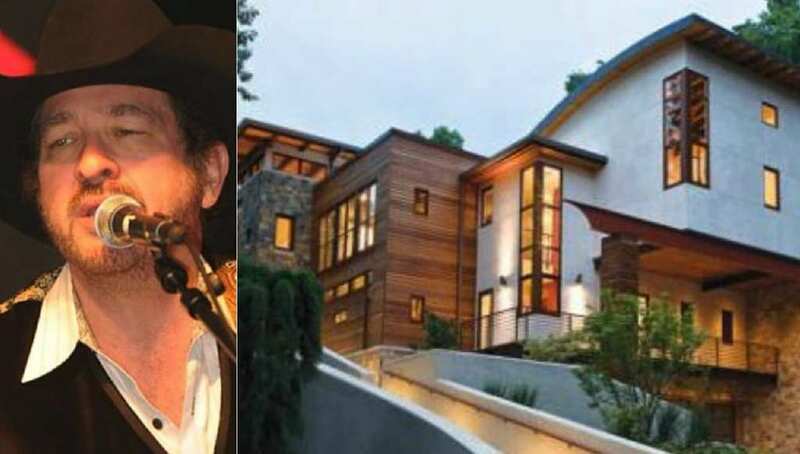 The two sold tons of hit records, and the money Brooks earned from it allowed him to buy a wonderful home, with a three story staircase, a wine cellar, and much more. 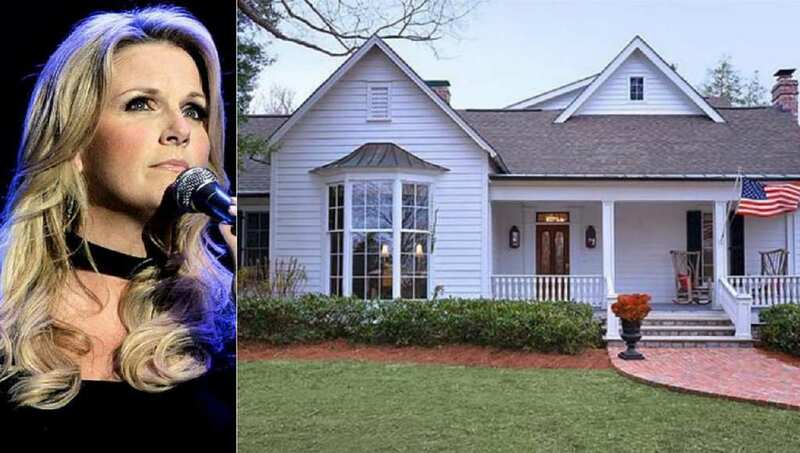 For many on this list, we are dealing with country stars that had enough money to buy more than one house – and for this reason, many of them like to get creative with the different homes they purchase. 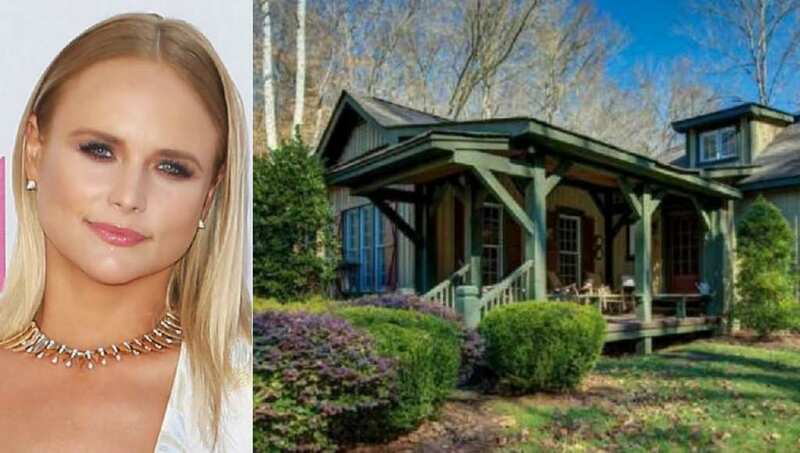 For instance, Miranda Lambert recently divorced fellow country star Blake Shelton, and she wanted to find herself a home that was secluded and cozy. It may seem modest, but she didn’t just buy the house – she also bought the 400 acres that surround it, as well. 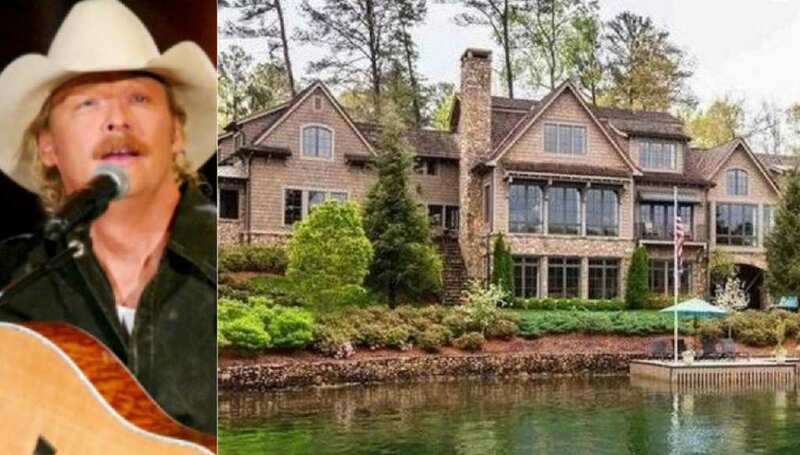 From a financial standpoint, this Georgia mansion by the lake that Alan Jackson bought is worth around $6.4 million, and judging by just its outer appearance, it doesn’t exactly surprise us. While that price tag may be well out of range from most American citizens’ pocketbooks, when you’re a country star of Jackson’s magnitude, it’s not too big of a monetary bullet to bite. Musically, he is known for his catchy songs, and the way he blended classic honky tonk sounds with a more commercial country sound. John Rich is best known for his time singing and playing bass for the country rock band Lonestar, alongside fellow rocker Richie McDonald. One of his most well known albums is Son of a Preacherman, and it only added to his success. The house you see here is one of the modern looking we have on our list, and perhaps one of our favorite elements to it is the guitar shaped pool – if you look at the bottom left corner of the picture, you can just make it out. The beauty of country music is the way that it is so steeped in tradition – but more than that, it’s the way that artists are able to constantly renew old sentiments that is truly touching. “Take Me Home, Country Roads” is just one example of one of John Denver’s classic tunes that has the power to bring people together on the stroke of a dime, and it’s the reason that he is so successful. This house as such a natural feel to it – just like his music. 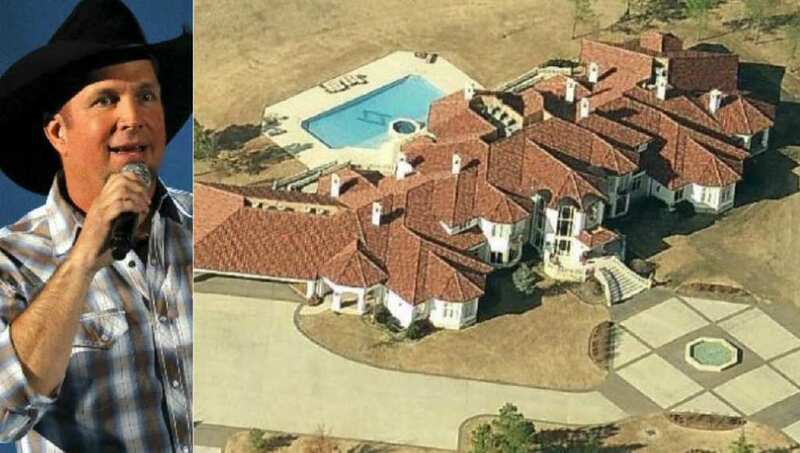 This sky view of the Oklahoma house that Garth Brooks bought doesn’t exactly reflect on the type of impact his music has on you when you listen to it. Because while it is a spectacle in some sense, his ability to pull you in with his songs is something that brings us closer to him, not further away. In songs such as “Friend In Low Places”, he allows us to see a vulnerable side of him that shows he really cares about his fellow man. 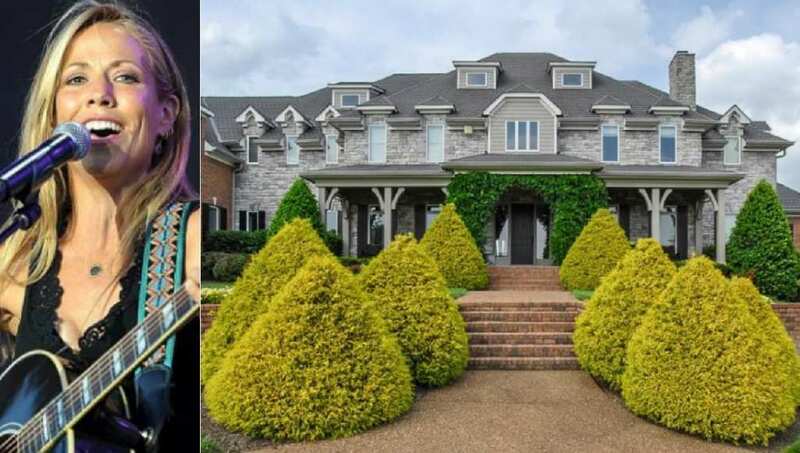 If it’s easy for many of these country stars to buy expensive homes when they’re single, you can only imagine how much easier it is for them when they team up with each other. Tim McGraw and Faith Hill are one of country music’s all star power couples, and they’ve both contributed a whole lot to the modern feel of country rock. This Tennessee home is just one of the places they bought with the wealth they accumulated, but we especially appreciated its simplicity and its serene surrounding atmosphere. Out of all of the homes on this list, one of the reasons we really like this one is the way it looks like it could blend in perfectly with any regular old neighborhood. 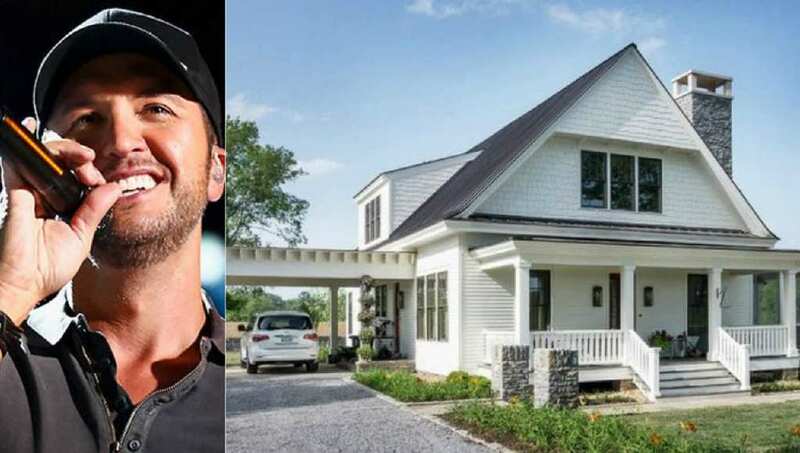 Sometimes people feel that just because they can buy something, doesn’t mean they have to, and we like that country singer Luke Bryan opted to go for a more modest (relatively speaking) approach when it came to buying the house of his choice. We certainly love talking about the early stars of country, and this is especially relevant when it comes to Loretta Lynn. This talented lady is the winner of a handful of gold albums in a 60 year long, very illustrious career in the music industry. Some of her classic songs are the snarky yet catchy “You Ain’t Woman Enough (To Take My Man”, as well as “Coal Miner’s Daughter”. In the house you see here, there is a tiki bar, and a sweet recording studio. For young Americans that grew up in the 90s, without a well-versed background in country music, their first encounter with Reba McEntire might have been in her hit television comedy sitcom, Reba. But those people would do well to know that Reba is actually one of the most notable names of all time country music. This red headed lady has a rich Southern accent and killer pipes, and has delivered the world timeless songs like the poppy “Fancy” and the intimate “Does He Love You”. Barbara Mandrell quickly became one of the most successful country singers of the ’70s and ’80s thanks to her hit songs including (If Loving You Is Wrong) I Don’t Want to Be Right and Sleeping Single in a Double Bed. The artist shot to the tops of the charts and is still a well-known name today. 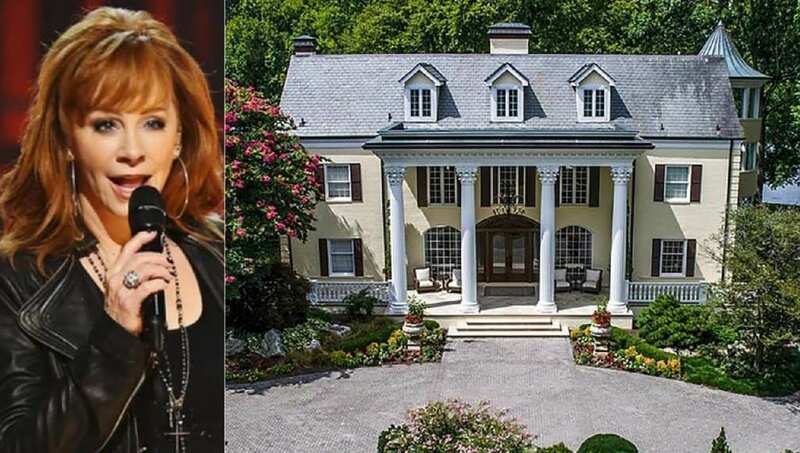 Thanks to her incredible career, she was able to afford this gorgeous log cabin style home in Nashville, Tennessee called the Fontanel Mansion. She may no longer live there, but people still visit for tours. How can anyone not love Dolly Parton? She is simply one of the all time greats, not just as a singer, but as an overall personality in the world of entertainment. Her smile and charm is charismatic to say the least, and her singing voice sounds like a canary who has just discovered it can fly. Her inspired vocal delivery can be heard on many songs, including the breathtaking “I Will Always Love You”, something that her Hollywood home neighbors probably don’t complain about. Carrie Underwood is currently one of the most famous singers in not just country music, but in all genres as well. But some people don’t know that she actually first got worldwide recognition when she was the first place winner of the hit reality show American Idol, and it’s a true testament to her greatness that she’s had the most real world success of any contestant that has ever been on the show. 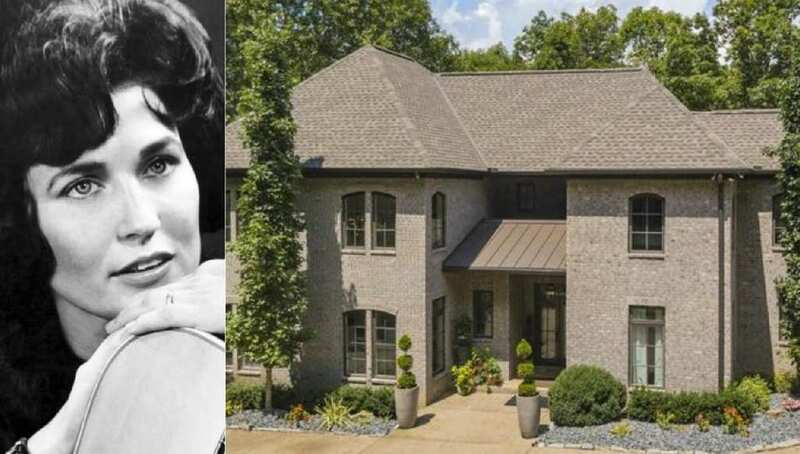 She lives in this house with NHL player Mike Fisher, who she’s also married to. Where do we start with a guy like Johnny Cash? It wouldn’t even be enough to say that he was an early pioneer of country music, because he was so much more than just that. He was like a biblical storyteller, in the way he delivered timeless classics such as the brave “I Walk The Line”, and the blazing “Ring Of Fire”, in those low, rumbling tones. As you see him standing in front of his Tennessee home, you can’t help but be in awe of his legacy.